Proteins responsible for all biological processes are one of the most important biomolecules in living organisms. All of our cells and even blood are filled with protein molecules. They are involved in the structure, function, and regulation of the body’s tissues and organs. Proteins in human are constructed from 20 different types of amino acids. It is the sequence of amino acids that determines each protein’s unique 3-dimensional structure and its specific function. 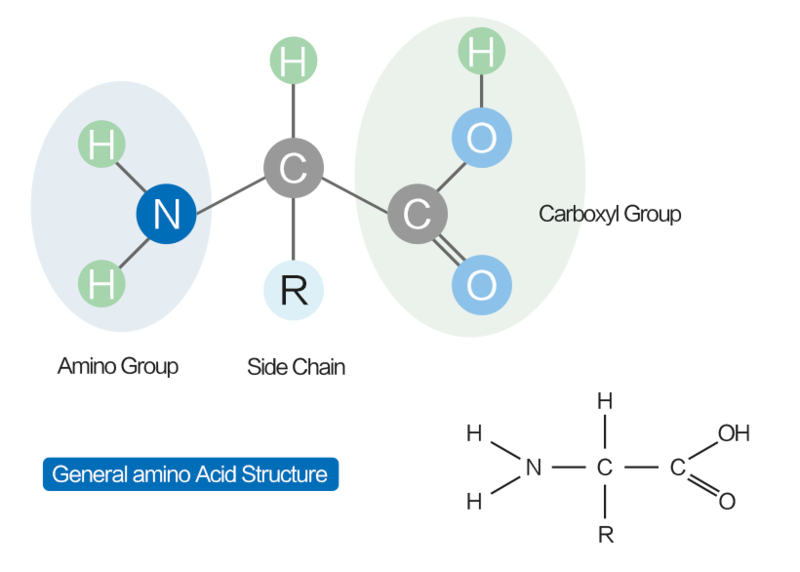 All amino acids have the alpha carbon bonded to a basic amino group (−NH2), an acidic carboxyl group (−COOH), and an organic R group. The "R" group is unique and specific to each amino acid. How does genetic code determine a protein's amino acid sequence? It is the information in the cellular genetic code that determines the amino acid sequence of a protein and a protein's structure and function. Each codon corresponding to one particular amino acid contains three bases arranged in a specific order. Given that there are four bases in RNA, there are 64 possible combinations of three-letter nucleotide sequences. 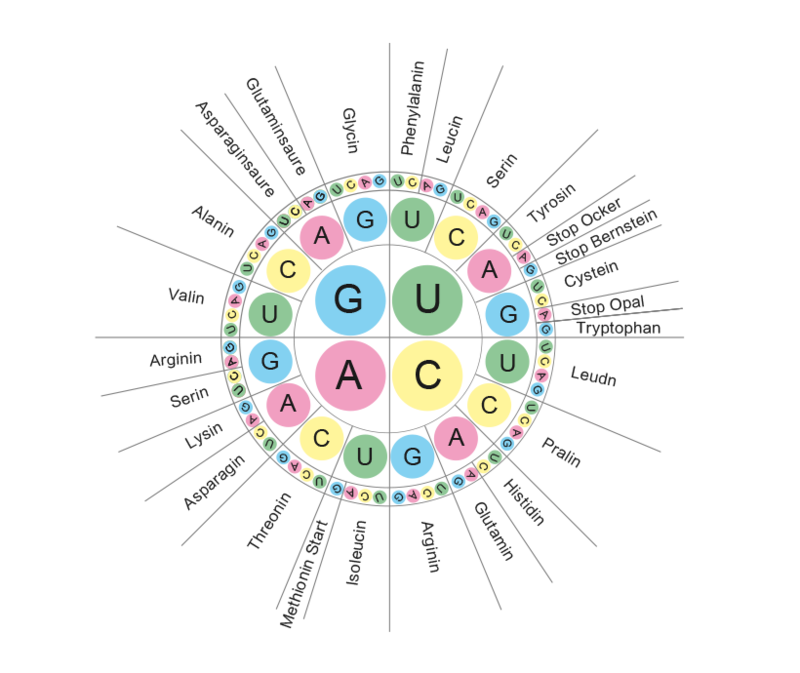 Among these 64 codons, 61 codons represent amino acids, and others are stop signals. AUG as the most common start codon is the initiation signal for the synthesis of polypeptide chain. UAG, UGA, and UAA as termination codons provide the termination signal for the relief of the new polypeptide chain from the ribosome. Among these amino acids, Gly Ala Val Leu Ile belong to aliphatic amino acids, Met is sulphur-containing amino acid, Trp and Phe are called as aromatic amino acids. Among these amino acids, Ser, Thr and Tyr contain hydroxyl group, Cys contains sulfhydryl group, Asn and Gln contain amide group. His, Lys and Arg contain amino group. Asp and Glu contain carboxyl group. Polar groups including hydroxyl group, sulfhydryl group, amide group, amino group and carboxyl group make the amino acids hydrophilic. The amino acids are crucial for life and involved in many biological process.